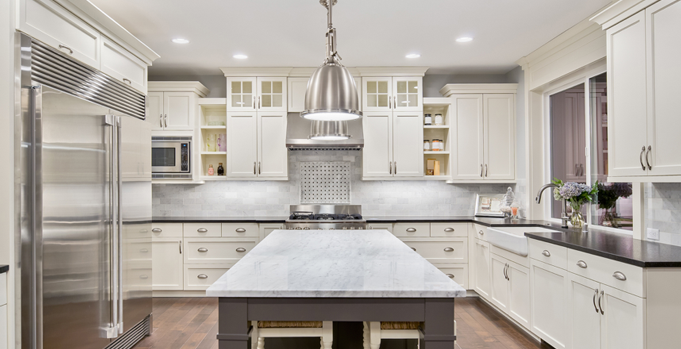 White opens up small spaces, beautifies larger Kitchen layouts and shows off stunning design elements. Attention-grabbing backsplashes, stunning sinks fixtures and dark countertops pop nicely against the backdrop of a white kitchen. To work with our design team click the survey link below. 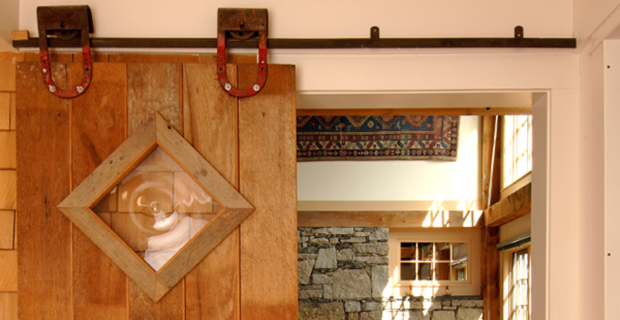 Barn doors serve as high-end focal points and handy solutions for wide openings and hard-to-style spaces like bathrooms, pantries and dining room entryways. You can install glass and stainless steel models to match modern décor, dark wood and wrought iron for a rustic flair or plain cedar slats to establish a neutral aesthetic. You can use reclaimed wood for a variety of design solutions. Accents walls, coffee tables and shelving units are popular destinations for reclaimed wood. Distressed lumber is also perfect for larger design projects like new flooring, ceiling refurbishments and staircase updates. 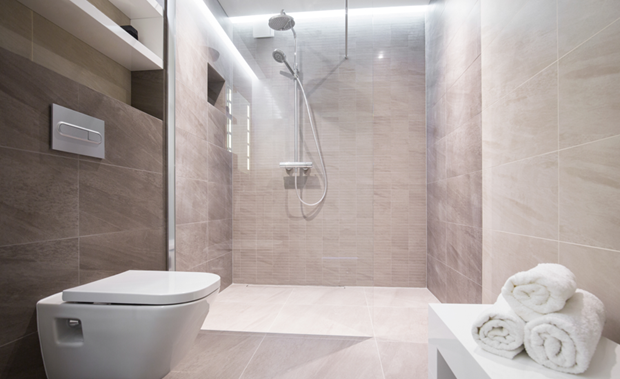 A walk-in shower will add to the aesthetics and functionality of your bathroom. 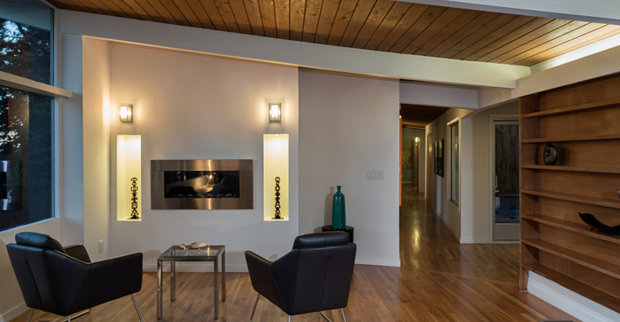 Curbless walk-ins offer safe entry and exit and lend themselves to modern designs. In fact, many safety- and style-conscious homeowners are replacing their tubs with walk-in designs. Also, benches, handrails and other comfort-related features are easy to include in walk-in showers. Undermount sinks’ unbroken lines give your kitchen and countertops a sleek, modern look. 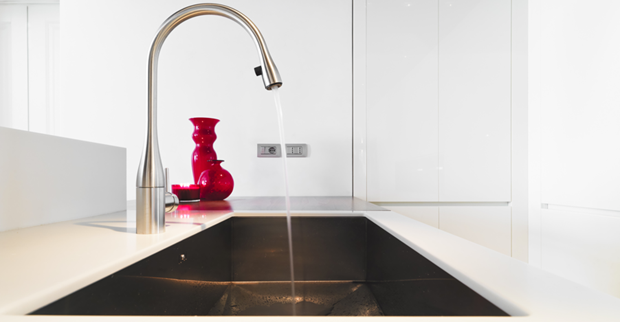 You can choose from a variety of materials and styles to ensure that your undermount sink increases the functionality of your kitchen and matches the décor. Undermounted designs also eliminate crumbs and food residue from building up around the edges of your sink — which helps in maintaining a clean kitchen. 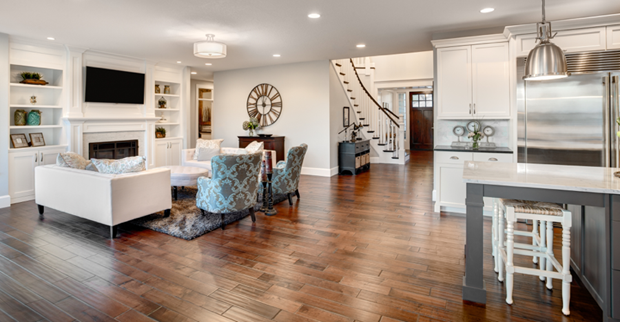 Recent trends like grayed hardwood, reclaimed lumber and wide-plank designs are popular alternatives to conventional wood flooring. These new hardwood looks serve as breath-taking focal points and picture-perfect complements to your existing décor. Match these hardwood trends to any design style — from mid-century to eclectic — for a beautiful update to your flooring.